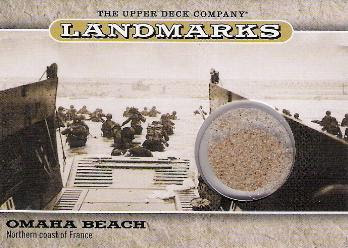 Being a collector and a military historian, particularly with regards to WWII, this is a must have card for me. I had added it to my saved search listings on eBay so that I would be alerted as to when the redemptions had started hitting the market. This is one, of only a small handful, so far to make its way onto the secondary market, and there are currently (2) other active listings. I was a little shocked by the closing price of about $66 and was hoping to get one for no more than $30. Looks like I'll have to wait a bit longer. Here is a link to the completed listing.